charles joined Watsi on May 12th, 2013. 15 other people also joined Watsi on that day! 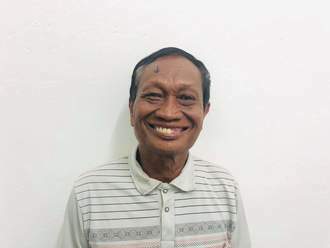 charles' most recent donation supported Van, a man from Cambodia, to fund cataract surgery. charles has funded healthcare for 15 patients in 8 countries. 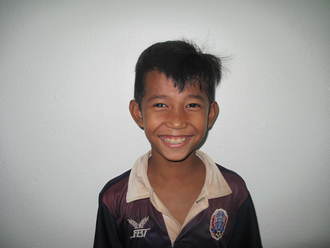 Tina is an eight-year-old from Cambodia. He has one younger brother. He likes to watch cartoons and play with his neighbors. He likes to read and study the Khmer language. He wants to be a doctor when he grows up. Three months ago, Tina developed a cataract in his right eye, causing him blurred vision and photophobia. He has difficulty seeing things clearly, recognizing faces, and going anywhere outside. When Tina's family learned about our medical partner, Children's Surgical Centre, they traveled for three hours seeking treatment. On February 6, doctors will perform lensectomy and an intraocular lens implant in his right eye. After recovery, he will be able to see clearly. Now, his family needs help to fund this $211 procedure. His mother says, "I am worried that my son's vision is not good and he cannot see well." “I am looking forward to doing chores at home without experiencing chest pain, difficulty breathing, and difficulty swallowing,” shares Torteliana, a 50-year-old farmer who lives with her family in a nipa hut in the Philippines. For the last 15 years, Torteliana has had an enlarged thyroid, commonly known as a goiter. Typically presenting as a lump or swelling at the front of the neck, a goiter can become large enough to obstruct nearby structures and cause difficulty swallowing or breathing. Most goiters are due to a deficiency of iodine, an important element in the body’s production of thyroid hormones that regulate the body's metabolism. 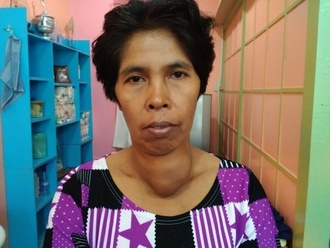 Because of the goiter, “Torteliana cannot carry heavy objects and cannot do heavy tasks at home,” explains our medical partner, International Care Ministries (ICM). “And because it is visible enough due to its size, it really gets people's attention when she passes by, and she is embarrassed by it.” Despite her worsening symptoms, “Torteliana was not examined by a doctor because of lack of finances,” ICM continues. In addition to working on her farm, she sells local goods at the market, but “she cannot afford the treatment needed because her income is barely enough for the everyday needs of her family.” Doctors recommend that Torteliana undergo a thyroidectomy, a surgical procedure to remove the thyroid gland. $1,500 covers the cost of the surgery, transportation to and from the hospital, 10 days of hospital care—including medicine, imaging, and blood tests—and medication to take after she returns home. “After the treatment, Torteliana will not experience difficulty breathing, difficulty swallowing, or chest pain,” ICM tells us. “She can do her activities of daily living with confidence. She can be productive and boost her self-esteem.” “I am very thankful that somebody could help me to have this operation for free,” says Torteliana. “I am hopeful that after this, I can work with less difficulty to sustain my family's needs." Meet Patrick, a 42-year-old father and the caretaker of the health center of our medical partner, African Mission Healthcare Foundation (AMHF). Patrick is the sole provider of his family in Kenya, and cares for five children with two in secondary school. In order to raise money for public transportation to AMHF’s centre, Patrick began selling tress. “However, a tree fell on him, injuring his head and arm,” explains AMHF. The accident fractured his radial and ulna. Now, he cannot feel his right arm and is at risk of infection if he does not receive medical treatment soon. $1410 in funding will allow Patrick to receive diagnostic x-rays, physical therapy, a resetting cast for his hand, and recovery time at the centre. “Treatment will eliminate pain and numbness in Patrick’s hand," AMHF shares. "Possibility of further infections will be limited. Once recovered, Patrick will be able to use his hand and work again.” Let support Patrick in getting the care he needs to get well and support his family. “My hope is to become a professor when I grow up,” says Wini, a nine-year-old from Tanzania. 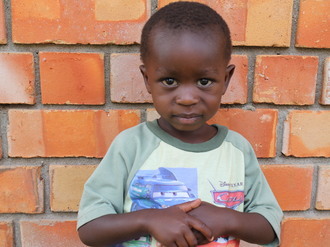 Wini is a quiet, bright girl who loves school—especially English and mathematics. "Wini likes to run around with other children as well as play soccer with the boys," says our medical partner, African Mission Healthcare Foundation. However, Wini has difficulty with soccer and attending school due to genu varus in her left femur. Her bone is misaligned, causing pain and difficulty walking. This condition is common in Tanzania due to high levels of fluoride in drinking water. AMHF tells us, “Wini is unable to walk to school without feeling pain, and sometimes must miss class. If her condition is not treated, she is at risk of developing osteoarthritis at a young age.” Wini’s mother works hard to ensure that she can pay for her two children to attend school, but she is unable to cover the cost of Wini's surgery. With $940, Wini will receive the surgery, rehabilitation, and physical therapy she needs to fix her leg. After surgery, "Wini will have the ability to walk without feeling pain," says AMHF. Let's help Wini get back in the classroom and back out on the soccer field! Say hello to sweet baby Mark! Mark is only a few weeks old. He lives in Uganda with his family. Although Mark’s mother wants more children, she is worried about Mark and what lies ahead for him. 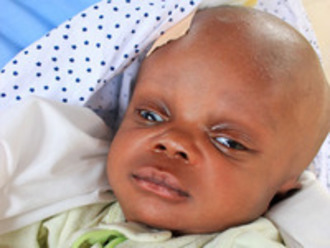 Immediately after birth, Mark was diagnosed with hydrocephalus, which is an excessive accumulation of fluid in the brain. If left untreated, Mark will be at risk for blindness, brain damage, and even death. For $1,750, Mark will receive an ETV (endoscopic third ventriculostomy) procedure, which will allow movement of the fluid in Mark’s brain. After this procedure, the pressure build up in the head will lessen and the fluid will drain, reducing the chance of brain damage. Treatment will allow Mark to live a productive life. Let’s help Mark and his family move forward together! This is Floricelda, a 13-year-old girl from rural Guatemala. Six years ago, she developed eye allergies, similar to the pollen-related allergies many of us get. However, her condition became more and more severe due to a combination of environmental exposures and lack of access to common allergy medicines. Now, smoke, dust, and mold have helped contribute to scarring around Floricelda's eyes, severe constant pain, and blurry vision. Doctors say that she is in danger of losing her vision altogether. Floricelda has been living with these symptoms for six years without ever seeing a doctor, because her family is too poor to afford treatment. In addition to being in constant pain, her allergies affect her ability to perform in school. For $1,300, Floricelda will receive an ophthalmologic consultation and aggressive medical treatment of the inflammation. Eye medications are extremely expensive in Guatemala, and doctors expect that she will need a long course of treatment, probably six to eight months. Let's help decrease Floricelda's pain and save her vision! Adelina is a sweet 15-year-old from Tanzania. She lives with her mother and grandparents, loves to play football (soccer), and dreams of growing up to become a soldier in the Tanzanian defense force. She also lives with unicystic ameloblastoma, which causes benign cysts to swell on her face. This swelling is both painful and extremely uncomfortable, and Adelina has become self-conscious when people make comments about her appearance. Adelina says she loses sleep over her condition, and simply wishes to look normal again. Unfortunately, her mother is unable to pay for medical treatment and her father is indifferent to what Adelina is going through. Together for $1375, the Watsi community can step in and help Adelina receive surgery to permanently remove the swelling from her face. Let's help her go back to school, walk around without covering her face, and play with her friends comfortably again! At just one month old, Angel is fighting for her life. 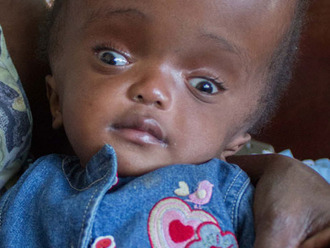 She was born with hydrocephalus, a condition in which spinal fluid builds up in the skull and puts potentially fatal pressure on the brain. 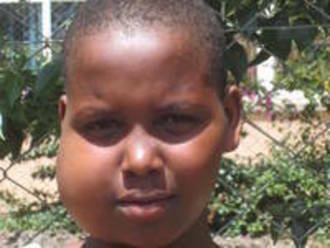 She needs a $1,750 surgery to give her a chance at a healthy future. Angel's mother is doing her best to care for her four children, but she is at a loss for how to handle this situation. Angel is unable to close her eyes properly or hold her head up on her own. The team at our medical partner in Zambia writes, "Angel's life will be saved with this procedure. She'll have the chance to develop normally, and as her head decreases in size, she'll be able to become more and more independent, holding her head up on her own and eventually being able to stand and walk."